Lord Widgery arrived in Coleraine, where the ‘Bloody Sunday’ (30 January 1972) Tribunal was to be based, and held a preliminary hearing. During this initial hearing Widgery announced that the tribunal would be “essentially a fact-finding exercise” and then went on to narrow the terms of reference for the tribunal. 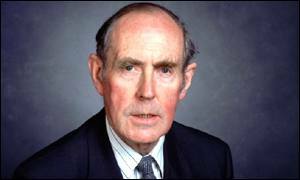 There was a meeting between Roy Mason, then Secretary of State for Northern Ireland, and M. O’Kennedy, then Irish Minister for Foreign Affairs in London. John Davey, a Sinn Féin (SF) councillor, was shot dead by Loyalist gunmen near Maghera, County Derry. Peter Brooke, then Secretary of State for Northern Ireland, told the House of Commons that there were still differences between the Northern Ireland political parties, the Northern Ireland Office (NIO), and Irish ministers, over the proposals for talks. Charges against Desmond Ellis, who had been extradited from the Republic of Ireland to Britain, were changed when he appeared in court. The introduction of new charges was contrary to Irish law and the incident sparked a row between the two countries. A delegation from the Ulster Unionist Party (UUP) had a meeting with John Major, then British Prime Minister, in London. Following the meeting the UUP wrote to Major to state that the party would not take part in all-party talks based on a “nationalist agenda”. Relatives of those killed on ‘Bloody Sunday’ met with Patrick Mayhew, then Secretary of State for Northern Ireland, to put the case for a fresh inquiry in the events of 30 January 1972. 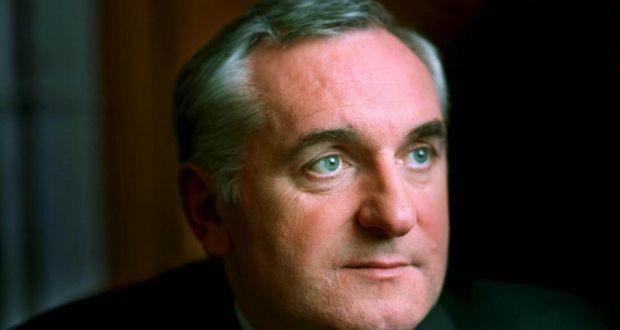 Bertie Ahern, then Taoiseach (Irish Prime Minister), was involved in controversy after making apparently contradictory statements about the decommissioning of IRA arms. In an interview with The Sunday Times (a London based newspaper) Ahern indicated that the Northern Ireland Executive could not be established without a start to decommissioning. Later, he said Sinn Féin (SF) should not be barred from the Executive in the absence of decommissioning. The President, Mrs McAleese, met the Archbishop of Canterbury, Dr George Carey, for the first time in Rome. A pipe-bomb was thrown at a house, Graymount, north Belfast. Police uncovered a pipe-bomb, and components parts for another two devices, during a search of houses in Ballymena, County Antrim. A sawn-off shotgun and automatic pistol were also found. There were no arrests. During other searches in the Clogh area of County Antrim, shotgun cartridges and other ammunition were found. Again there were no arrests. A Sinn Féin (SF) spokesperson said that the party’s four Members of Parliament (MPs) had already begun to complete the House of Commons register of members’ interests before a committee had ruled that the register would have to be completed. The previous rule had only applied to those MPs who were taking their seats at Westminster. The Police Association, which represents all the members of the Police Service of Northern Ireland (PSNI), launched a legal action in the High Court in Belfast to attempt to quash the report by the Police Ombudsman on the Omagh bomb investigation. The Ombudsman report was critical of the handling of the investigation by the Chief Constable. The Omagh Victims’ Group said they welcomed the possibility that Ronnie Flanagan, then Chief Constable of the PSNI, may retire at the end of February 2002. Charles, then Prince of Wales, arrived in Dublin on for his second official visit to the Republic. He met with Mary McAleese, then President of the Republic of Ireland, and Bertie Ahern, then Taoiseach (Irish Prime Minister). Shot by sniper while on British Army (BA) foot patrol, Divis Street, Lower Falls, Belfast. Killed by exploding petrol tank of burning hijacked lorry, during street disturbances, Leeson Street, Lower Falls, Belfast. Died one month after being injured during bomb attack on his home, Fortwilliam Parade, Skegoneill, Belfast. He was wounded on 17 January 1976. Shot by sniper while on British Army (BA) foot patrol, Abercorn Road, Derry. Sinn Fein (SF) Councillor. Shot as he drove his car into the laneway of his home, Gulladuff, near Maghera, County Derry.